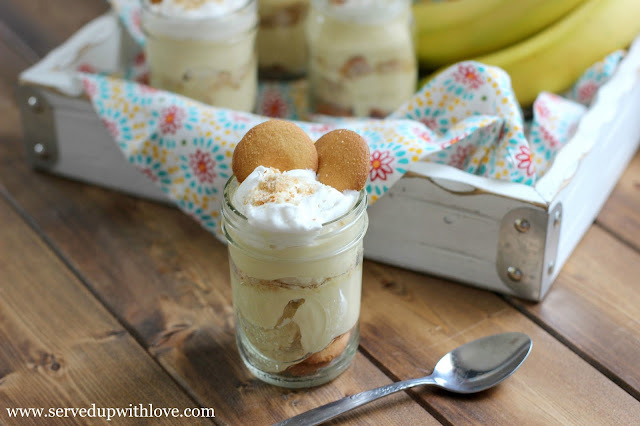 Today I am super excited to share with you these Banana Pudding Parfaits. My blogger friend Melissa from Melissa's Southern Style Kitchen just released her first cookbook, Melissa's Southern Cookbook, and I got my hands on a copy! 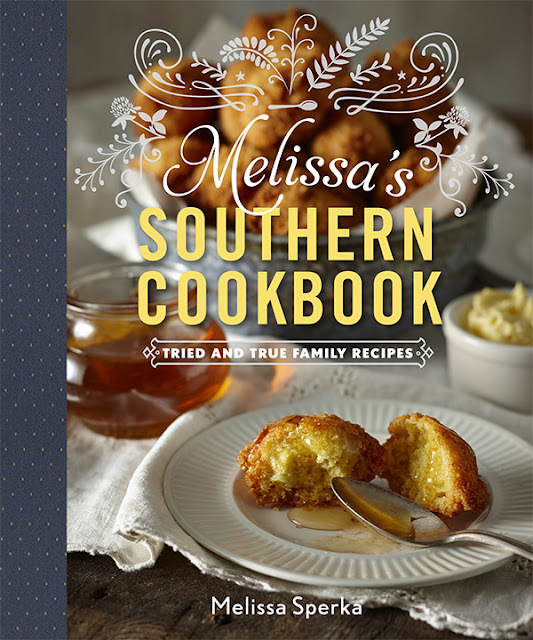 Melissa's Southern Cookbook is an absolute treasure to have. All her recipes are tried and true and ones that she has been making in her kitchen for many years. Some being passed down through the generations. Right off the bat you can tell her family is first and foremost in her life as she talks about her boys. Doesn't it look so inviting? This just makes me want to grab a chair at the table and dig in! The photos are so mouthwatering I just couldn't put it down. Each recipe drew me in and made me want to get in the kitchen and get to cooking for my family. There are over 100 recipes for breakfasts, quick-and-easy family dinners, and appetizers for more sophisticated affairs. From the fluffiest buttermilk biscuit to the crunchiest fried chicken, refreshing peach tea to crowd-pleasing icebox cakes, every southern favorite recipe is right there at your fingertips. Any good southerner knows that a Naner' Puddin' is a must and you can certainly find many variations of it. Melissa's version grabbed my attention from the get go. I wanted to pick up that spoon and dig in! The best part was that I had everything I needed to whip them up. I just so happened to have some mason jars that were perfect for these too. You can't get anymore southern than naner' puddin' and mason jars! That luscious vanilla custard, oh my! Paired with the bananas and the vanilla wafers, this was absolutely heavenly. It is no surprise that these were devoured! Make sure you scroll on down to win a copy of the cookbook for yourself. This is one that you want in your collection! In a medium size mixing bowl, whisk together the evaporated milk, sugar, flour, and salt until the sugar has dissolved and no lumps remain. Pour into a heavy bottomed saucepan and cook over medium high heat, stirring constantly to prevent sticking, just until warmed. In the same mixing bowl, whisk together the egg yolks and half and half. While whisking, gradually add to the warmed mixture in the saucepan. Lower the heat to medium and gently cook, stirring, for 10 to 15 minutes, or until thickened. Remove from the heat and add the butter and vanilla. Mix well. If the custard appears lumpy, press through a fine-mesh sieve to smooth. Pour the custard into a bowl and press a piece of plastic wrap on top. Allow the custard to cool slightly while you prepare the remaining ingredients. To assemble, arrange three or four whole vanilla wafers in the bottom of each parfait glass, reserving eight whole vanilla wafers for garnishing. In a separate bowl, crush all the remaining vanilla wafers. Over the whole vanilla wafers, add a layer of sliced banana (about 4 slices per layer) then cover with about 1/4 cup of warm custard. Repeat layers, beginning with crushed vanilla wafers. Reserving 1/2 cup of crushed wafers for the top plus 8 whole wafers for garnish, continue layering until all the ingredients have been equally divided among the parfait glasses ending with vanilla custard. Top each parfait with a dollop of whipped cream. Sprinkle each with the reserved crushed vanilla wafers and garnish with 1 whole wafer. Melissa, thank you for such a beautiful post! 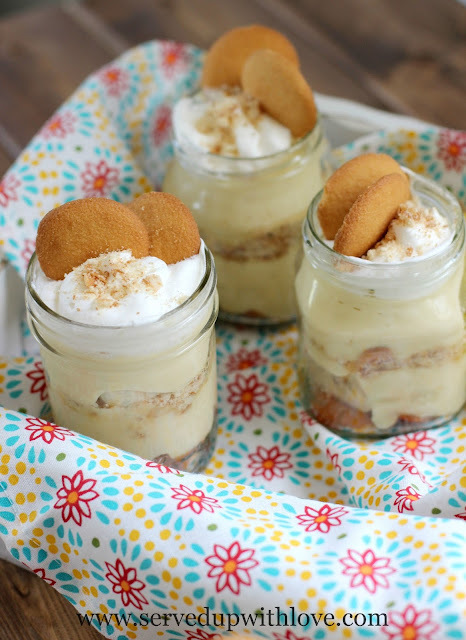 I love these in mason jars perfect for packing to take to a picnic. Thanks Melissa for such an amazing recipe and most importantly, a great cookbook. I have already bookmarked a bunch of recipes to make soon. It was an honor to review for you. These look so cute and delicious. 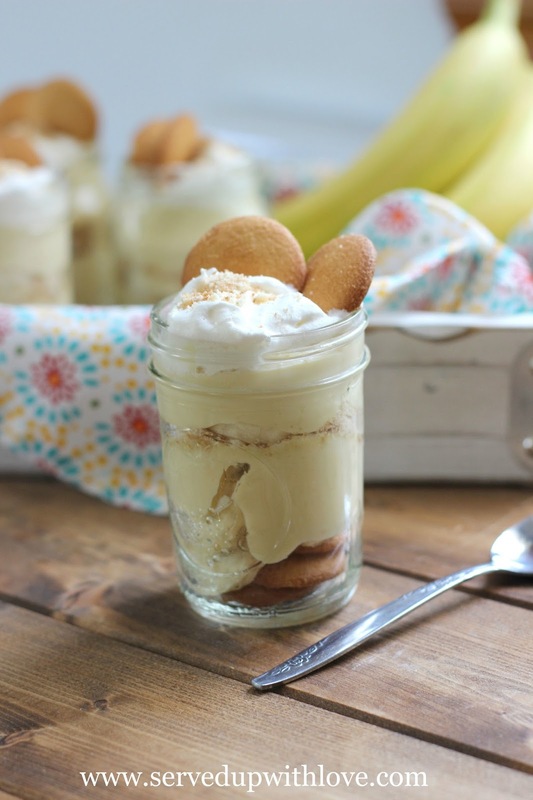 I love a good banana pudding. I bet these would make cute little desserts for an upcoming rehearsal dinner cookout I am hosting. Thanks for the inspiration. These would be a hit for sure. Glad I could give you some inspiration. Hope you love it as much as we do. 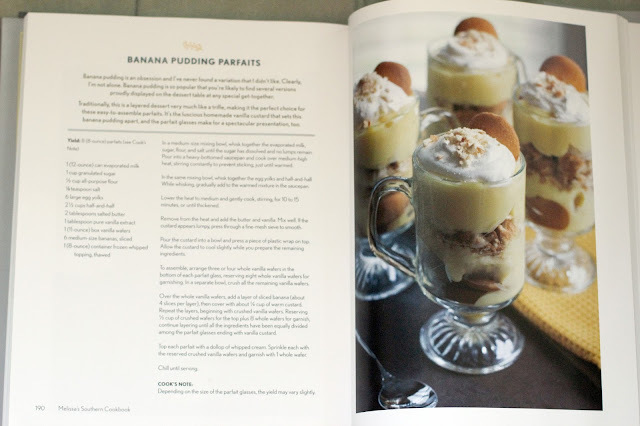 What a beautiful cookbook and those banana pudding parfaits look delicious. So cute in Mason jars too! My husband's grandmother's banana pudding! I love Attemptinh to make biscuits! How many does it make? Did I miss that info somewhere? Hi Penny- it yields 8 (8 oz) parfaits. 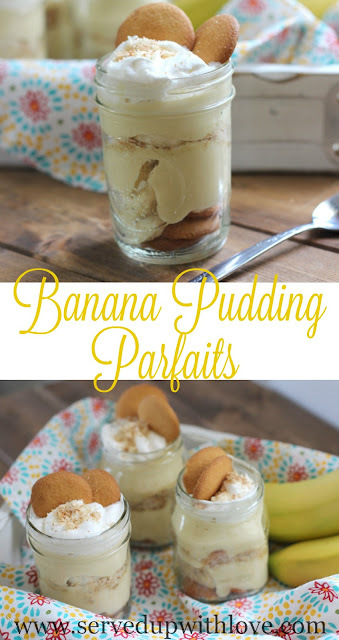 However, depending on what you use to put the parfaits in, it may vary. Hope this helps.